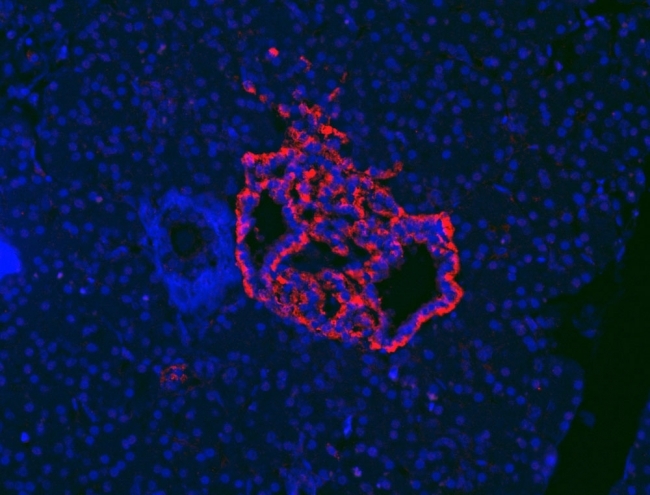 Lower levels of four proteins crucial for immune response found in T1 diabetes patients. Type 1 diabetes is an autoimmune disease, which primarily surfaces in childhood, where the immune system attacks the insulin-producing cells of the pancreas, leaving children facing a lifetime of daily insulin therapy to try to keep blood sugar levels under control. Currently the only treatments available to ‘cure’ type 1 diabetes are pancreas transplantation and Islet cell transplantation. Both are seen as a last resort with Islet cell transplantation not seen as a permanent cure for the disease. Now, in the largest study of its kind, researchers at Georgia Regents University shows that patients with type 1 diabetes have significantly lower blood levels of four proteins that help protect their tissue from attack by their immune system, scientists report. Conversely, their first-degree relatives, who share some of the high-risk genes and do not have the disease, have high levels of these proteins circulating in their blood. Healthy individuals without the risky genes also have higher levels of the four proteins, IL8, IL-1Ra, MCP-1 and MIP-1β. The team state that the findings point toward a sort of protein cocktail that could help at-risk children avoid disease development as well as new biomarkers in the blood that could aid disease diagnosis, prognosis and management. The opensource study is published in the Journal of Clinical Endocrinology & Metabolism. The current study investigated a total of 13 cytokines and chemokines, which are cell signaling molecules involved in regulating the immune response. The team first looked at blood samples from 697 children with type 1 diabetes and from 681 individuals without antibodies to insulin-producing cells, a hallmark of this autoimmune disease. They then analyzed the blood of a second and larger set of individuals, which included 1,553 children with type 1 diabetes and 1,493 individuals without any sign of antibodies. The results showed that a higher percentage of type 1 diabetes patients had significantly lower levels of the same four proteins as the patient’s cells are not secreting enough of these proteins. Normally a person is secreting enough of these cytokines to prevent attack by the immune system. The data findings showed that individuals who have three of the known high-risk genes for type 1 diabetes but high serum levels of these four proteins are less likely to have disease, suggesting that these proteins may provide dominant levels of protection against type 1 diabetes even in a genetically high-risk group. The findings also show that if the individuals with high-risk genes weren’t making more of the proteins, they likely would have diabetes. Previous studies show that one of the proteins found at low levels in patients, MIP-1β, has been shown in animal models to protect against type 1 diabetes development. A recombinant version of IL-1Ra, already used to combat rheumatoid arthritis, is also under study for both type 1 and 2 diabetes. And, human studies have shown that newly diagnosed patients with type 1 diabetes who go into remission have higher levels of IL-1Ra than those who don’t. Cytokines and chemokines can promote or inhibit inflammation, cytokines such as MIP-1β can do both, and the proper mix helps keep inflammation in check as shown in earlier studies. As an example, IL-1Ra, a cytokine secreted by several cell types, including immune cells, is a natural antagonist of the inflammation promoting cytokine IL-1β. The lab state that they are providing evidence that clinical trials with any of these four molecules may work, and if used in combination, they may work even better. They go on to add that one of the major research foci in the group is to identify biomarkers for various diseases, diabetes, cancer and others. They also want to identify new therapeutic strategies or targets through the discovery of biomarkers. The researchers conclude that some of the 13 cytokines and chemokines originally screened for the study were known factors in type 1 diabetes, and for the future they are curious about the role of others. Pseudoatrophic islet from the pancreas of a patient with chronic type 1 diabetes. Alpha cells are stained in red; beta cells are stained in green but are absent. Credit: Diapedia, The Living Textbook of Diabetes. Diapedia is an initiative of the European Association for the Study of Diabetes.